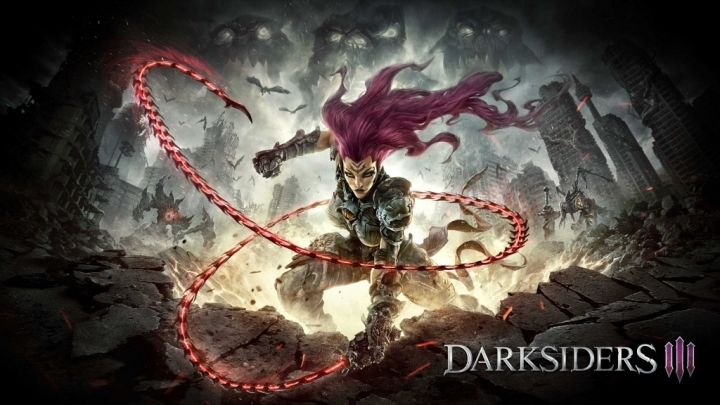 Darksiders is one of those IP’s that stands tall inside the Gaming industry, great hack and slash standard! unique artstyle ambientation and art director. Really loved by it fans and yet, was always surrounded by a thick mist after the THQ bankrupt. BUT we are lucky! Because when Nordic Games got this IP, their promised to evaluate the situation carefully, and try to get the same people who worked in Darksiders 1 and Darksiders 2 to preserve the soul of the game and deliver, expand, finish the series with honor. Well, they did, or better said, they’re DOING IT right now! This is the Official sinopsis leaked by Amazon and PS Network in some Countries, then posted in NeoGaf forum and eventually confirmed and officially announced by ING who actually got in touch with TQH Nordic some weeks ago, to start doing an “in deep look” to some new fresh projects which happens to be Darksiders 3! We will play as FURY the 3rd apocalyptic horse rider to establish the balance of good and evil in whatever is left from War and Death.. previous games. here is the trailer!